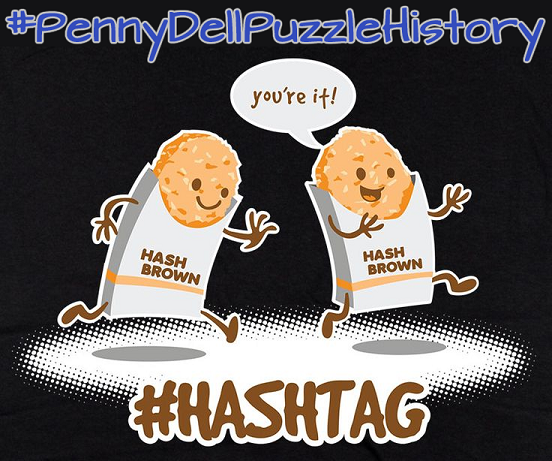 For years now, we’ve been collaborating on puzzle-themed hashtag games with our pals at Penny Dell Puzzles, and this month’s hook was #PennyDellPuzzleHistory, mashing up Penny Dell puzzles with historical figures, historical moments, and historical quotations! Penny Dell Puzzle Historical References! Penny Dell Puzzle History Quotes! “Other than that Mrs. Lincoln, how was the Word Play? How camest thou in a pickle? I fear me, will never out of my bones. I shall not fear flyblowing. There were also several submissions that deserve their own section, as these intrepid puzzlers went above and beyond. “I pledge Accordion Words, to the flag, of the Untied Mystery States of America. Have you come up with any Penny Dell Puzzle History entries of your own? Let us know! We’d love to see them! It’s Follow-Up Friday: Holiday Wordplay edition! 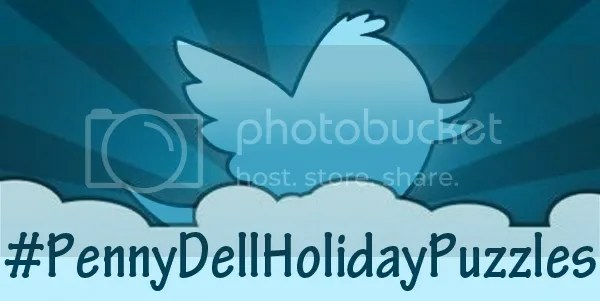 And today, I’m posting the results of our #PennyDellHolidayPuzzles hashtag game! For the last few months, we’ve been collaborating on puzzle-themed hashtag games with our pals at Penny Dell Puzzles, and this month’s hook was Penny Dell Holiday Puzzles, mashing up Penny Dell puzzles and anything and everything having to do with winter, Christmas, the holiday season, festive songs, Hanukkah, Kwanzaa, Festivus, Voodoo Day…whatever you celebrate in December! Examples include: Oh Little Puzzler of Bethlehem, ChristMasterwords, or HoliDaisy! We’ll frolic and play, the Eskimo Right of Way, Walking in a winter wonderland. Do You Hear What I Here and There? / Do You Hear What’s Left? Merry Christmas to All Fours, and to All a Good Night! God Bless Us Every One and Only! Hark! The Sum Triangles Sing! We’re on the Island of Four-Fit Toys . . . The Scoreboard in hand bear I, bedecked with Sunrays and Syllability . . .
Home Alone: Step by Step, Brick by Brick—Battle! You’ll shoot your eye Out of Place! I dedicate this house to the Griswold Family Christmas: You Know the Odds. And a Partners in a Pairs tree! FIVE BY FIVE golden rings. And a partridge IN A BIND tree! …and a Partridge in a Picture Pairs Tree! Have you come up with any Penny Dell Holiday Puzzles of your own? Let us know! We’d love to see them!